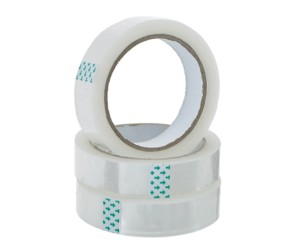 Our range of Acrylic Tapes is suitable for all types of carton sealing application, ensuring high sealability of packaging both in storage and transport. It is the best solution for reliable, all-temperature and all-weather box sealing performance. 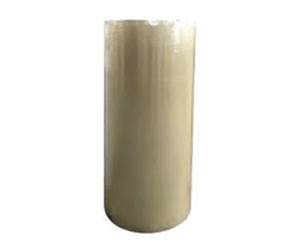 Designed for applications rleequiring excellent clarity and projects where resistance to aging, weathering, UV light and yellowing are important. Top quality acrylic adhesive provides higher shear strength and superior quick stick performance while controlled unwind facilitates dispensing operations on manual or automatic case sealing machines. As a vertically integrated manufacturer with state-of-the-art production and converting facilities in India, HAL can produce acrylic tapes with your branded cores, boxes and labels. HAL is your strategic partner when it comes to manufacturing private label tapes. Environmental benefits - Water based adhesives are generally more eco - friendly due to low in volatile organic compounds (VOC) content. All stages of the manufacturing and application process for hot melt and solvent-based adhesives release VOC's into the atmosphere. These atmospheric pollutants are linked to a number of serious health problems in people, as well as to the formation of ground-level ozone, which contributes to global warming. Also, water based adhesives have comparatively low odour. General Purpose acrylic packaging tape for light to medium weight carton sealing in manual and automatic industrial sealing applications. High-performance grade acrylic packaging tape for heavy duty manual and automated industrial sealing of cartons exposed to rough handling and load stress. When you need a high-performance tape along with a pleasurable experience on the shop floor, go for our specially designed low noise tape. While you are closing boxes, why not make it look attractive and promote your precious brand? We can offer all our tapes with the printing of upto 8 colours. At HAL we can offer you our entire range of products in the colour of your choice. Adhesive tapes, with hot melt and acrylic technologies, for the best performances in packaging closure. Our specially developed Water Based Hot Melt Acrylic Tape is the perfect replacement for the high-cost Synthetic Rubber Based Hot Melt Tape. Due to continuous demand from the customers for an eco-friendly tape, we have developed a water-based equivalent of the Solvent Tape. While you are closing boxes, why not make it look attractive and promote your precious brand? Label Protection Tapes is used to cover and protect labels. The tape is clear and will not yellow, dry, or crack. Label protection tape protects labels in harsh or outdoor environments, against water, chemicals, and abrasion. This is a specially designed tape for convenience and ease of use. No scissors or dispensers are needed and the tape can easily be torn with hand. 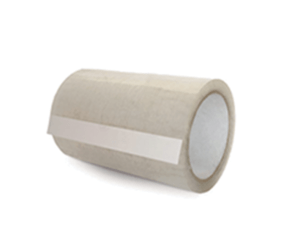 HAL offers converters access to high quality and consistent Adhesive Coated Rolls.